There are currently eight Counties in Connecticut. 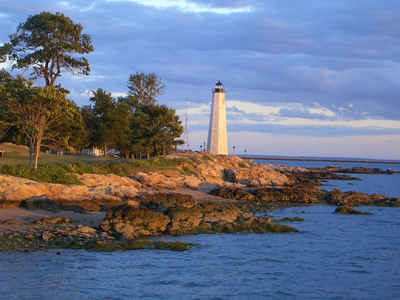 Four of them were originally created in 1666, during the first consolidation of the colony of Connecticut. Middlesex and Tolland counties, have been created since American independence, both in 1785. Middlesex County is a county located in the south central part of the state of Connecticut. Based on the 2010 census, the population was 165,676. The county was created in May 1785 from portions of Hartford County and New London County. The County Seat was Middletown (1785-1960). The county is is named for Middlesex, England. 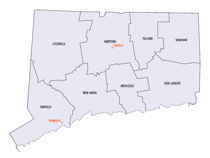 Middlesex County is included in the Hartford-West Hartford-East Hartford, CT Metropolitan Statistical Area. The county is named for Middlesex, England. 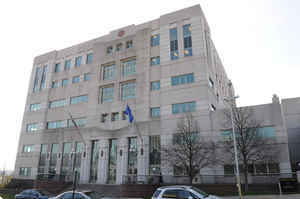 Middlesex County is located in south central Connecticut, bordered on the east by New London County, on the west by New Haven County, and on the north by Hartford County. Connecticut's seventh established county, it is also bordered to the south by Long Island Sound. The Connecticut River forms a portion of the eastern border of Middlesex County, starting at Old Saybrook. The total land area covered by Middlesex County is 369 square miles making it the smallest in size of the eight Connecticut counties. The terrain tends to be mostly level along the Connecticut River and Atlantic coast to moderately rolling uplands away from them. The highest elevation is close to a triangulation station in Meshomasic State Forest, located at 916 feet (279 m) above sea level; the lowest point is sea level. Middlesex County is also the home of Wadsworth Falls.